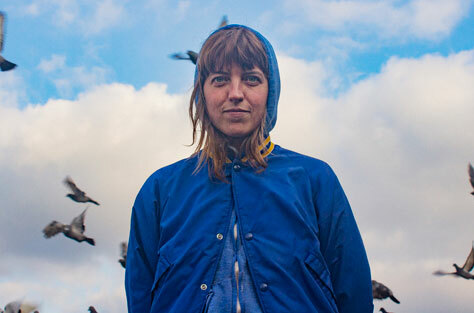 We’re delighted to be welcoming Rozi Plain back to Manchester! Her brand new album, What A Boost, carries the same sense of exquisite elegance but is an altogether different, and distinctive, journey. One, in fact, that was inspired and informed by just that: of travel and passage, of the unique inspiration found in different and differing people and places. Of movement and motion. Of journeying. Tweaked and refined during a year spent touring the world playing bass in This Is The Kit, What A Boost nurtures its homely roots and then blooms into a record that isn’t strictly about life on road but is undoubtedly, and beautifully, shaped by it. Textural, repetitive, propulsive, the whole piece plays out like a soundtrack to the world flying past the window; all of the shapes, colours, sights and sounds, flickering fast as we try to take as much of it in as we can. What A Boost is also the product of the singular spaces within which it was created. First there was the Old Dentist’s Studio around the corner from Rozi’s home in Clapton, where many of the initial ideas were first conjured. Then there was an RAF base in Suffolk where some of the songs began to come to life. A day off on tour in LA enabled a fruitful days recording three songs (Swing Shut, Conditions and Trouble) with Chris Cohen (Deerhoof, Cass McCombs, Weyes Blood). Then back to London, where the album really came together at The Total Refreshment Centre, a somewhat legendary fixture in the flourishing London jazz scene. Rozi’s previous album, Friend, was the first to be recorded there. ‘Since then the TRC became part of my life. A great community of artists and musicians getting stuff done, making proactive moves,’ enthuses Plain. Naturally she returned there again for What A Boost, shortly before its closure as a live venue in 2018 due to intervention from Hackney council. Another key facet of What A Boost is collaboration. Inspired by her invitation to participate at 2018’s PEOPLE festival, a week of one-off collaborative performances devised by Bon Iver’s Justin Vernon and Aaron Dessner of The National, Rozi opened up her new record to a number of different minds, each of them imbuing the work with little touches of their own magic. Co-produced by regular drummer Jamie Whitby Coles, the record also features fellow live-band members Neil Smith, Amaury Ranger and Gerard Black. Elsewhere, Rozi opened up her new work to a host of friendly and familiar faces, with What A Boost boasting informed playing from the likes of Sam Amidon, Rachel Horwood (Bas Jan, Trash Kit), Joel Wästberg a.k.a. Sir Was, Raphael Desmarets, Yoshino Shigihara (Zun Zun Egui, Yama Warashi) and Dan Leavers from The Comet Is Coming who recorded and played on experimental highlight The Gap. The album was subsequently mixed by Ash Workman (Metronomy, Christine and the Queens) at his Electric Beach studio. Special guest is Benedict Benjamin. Benedict Benjamin is Ben Rubinstein, formerly of The Mariner’s Children and Peggy Sue (Wichita). After writing and recording his debut, Ben turned to a more full band sound for his second album Truant, which was written just before and after becoming a father and is about the panic and pragmatism of expecting and then becoming a parent. The early sixties influence of The Everly Brothers is still present in the melodies, but now there is an urgency and grit to the instrumentation that sits somewhere between The Velvet Underground and Tom Petty, or more recent forbears such as Kevin Morby and Angel Olsen. Both Night Songs and Truant were produced by Dan Blackett (Landshapes, Bella Union). Truant will be released on 3 May 2019.